The HP dv5t laptop is popular for a reason, it’s price to feature ratio is one of the best out there for laptops and the 15.4-inch screen form factor fits the bill for most people’s needs. If you’re going to be walking around campus a lot, then you may want to consider the slightly smaller and lighter 14-inch screen Pavilion dv4t. However, if your laptop will mostly be sitting on a desk in your dorm then a 15.4-inch screen is the sweet spot. If you want to use the Pavilion dv5t as an all-in-one entertainment machine by getting Blu-Ray, TV tuner and dedicated graphics built-in then it can certainly replace your TV and DVD/Blu-Ray player. In summary, there’s no hesitation in recommending the Pavilion dv5t as a student notebook if you think it fits your needs profile. Who says travel has to be boring? HP aims to make it as entertaining as possible with the Pavilion dv5t, a notebook built as much for games, music, and movies as for everyday computing. To that end, HP stocks it with high-end, Centrino 2-powered hardware and media-friendly goodies such as a Blu-ray drive and a stowaway remote. HP's Pavilion dv5t entertainment notebook has good looks and the media features to match, though its HD functionality is limited. It has been nearly three years since I bought my last laptop. I put a great deal of time into researching my the purchase of this HP dv5t, and it paid off. The HP dv5t meets my needs perfectly. It is an extremely well-rounded 15.4-inch multimedia notebook at a great price point. A beautiful design, superb input devices, a great screen, and good gaming performance are the major highlights of this machine. I have no second thoughts about giving the dv5t my full recommendation. After nearly two years of sticking with the same design, HP is making several moves to spice up its Pavilion line. 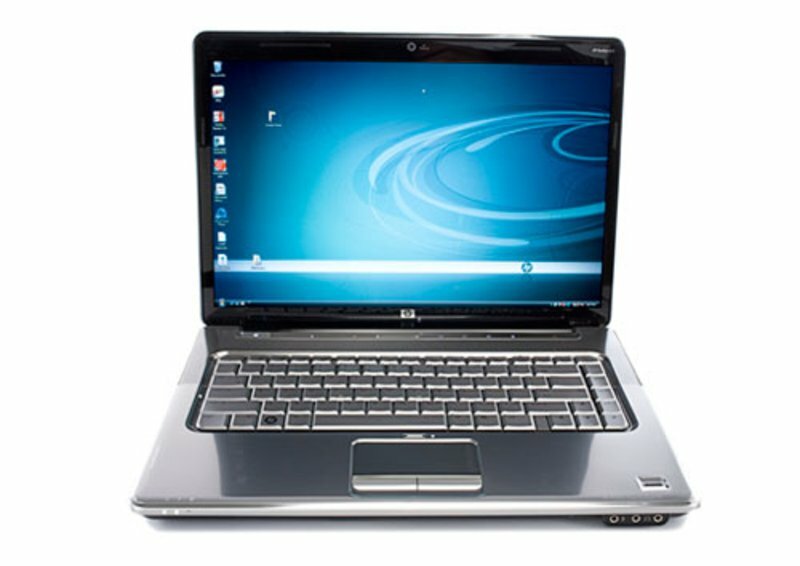 The HP Pavilion dv5t ($1,525 list) is part of a large group of HP consumer laptops (all the Pavilion ones, as well as the Compaq Presario laptops) to receive an interior chrome treatment. If in these new models the convergence between a laptop and a home-theater experience isn't otherwise apparent, its new "frameless" widescreen and built-in TV tuner should drive that point home. 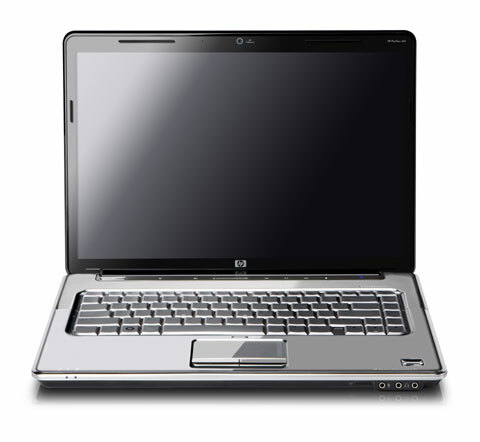 The HP Pavilion dv5t features a frameless widescreen and built-in HDTV tuner. After nearly two years of sticking with the same design, HP is making several moves to spice up its Pavilion line. The HP Pavilion dv5 ($1,525 list) is part of a large group of HP consumer laptops (all the Pavilion ones, as well as the Compaq Presario laptops) that will receive an interior chrome treatment. 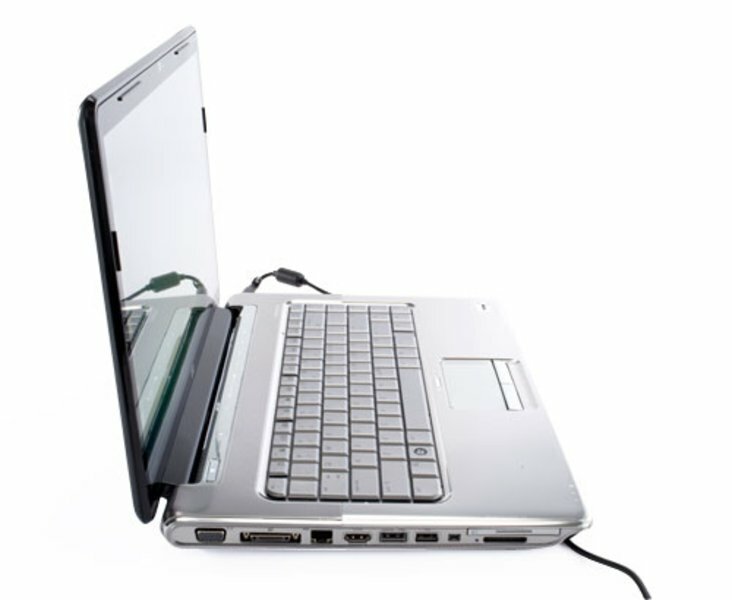 The HP Pavilion dv5 features a frameless widescreen and built-in HDTV tuner. The HP Pavilion dv5t sports a redesign that makes other mainstream machines look old-fashioned by comparison and backs up its futuristic-chic appearance with fast performance. There’s more than enough oomph here for a smooth Vista experience, as well as for playing the latest 3D games. And with its sharp display and robust speakers, the dv5t doubles as a portable entertainment center. This is a worthy sequel to the dv6500t and one of our favorite 15.4-inch notebooks. Be sure to check back in the July/August timeframe for a more in-depth review.